Have a smooth and stress-free sightseeing by pre-booking your private round-trip to and from the one of the most popular Football Stadiums in the world - Santiago Bernabeu. Your driver will greet you in the hotel located in Madrid city center and drive you directly to the stadium, where you will have time to admire the famous stadium on your own. When it’s time to leave, your private vehicle will be waiting to whisk you back to your hotel. 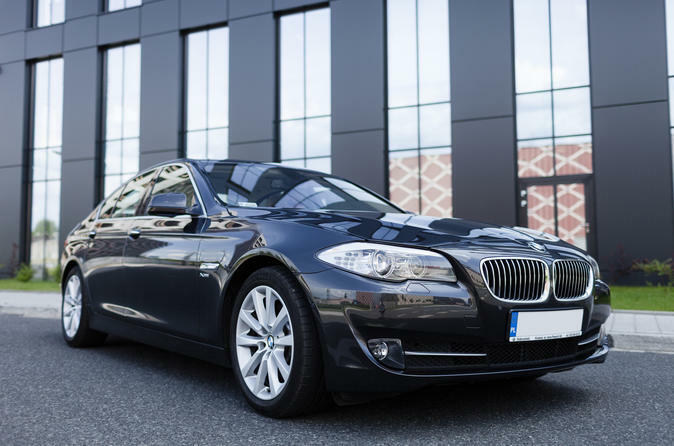 There’s no need to worry about inconvenient public transportation as your private driver will be waiting for you at the chosen time in agreed place. Your driver will greet you in your hotel in the Madrid city center and drive you to the entrance of the Stadium. Afterward, at the chosen time, he will also pick you up from the place (please be advised to set the pick up point clearly with the driver) and bring back to your hotel. This is a private transfer which means that you will not share a car with anyone apart from your booking. The cars used for this service are less than 5 years old. The experienced driver will make sure that you have a smooth ride from door to door.